A thorough health history will be taken to better understand your overall health needs and concerns. This will enable the doctor to determine whether or not chiropractic care would be appropriate for you. This is a complimentary visit. A complete physical examination will enable the doctor to locate areas suffering from the vertebral subluxation complex (joint dysfunction) and other structural problems or concerns. This will help determine the structural relationship of your spine and how this may be adversely affecting your health. Our office focuses on the structural relationship of the spine and nervous system with its overall effect on health. We underscore that a specific approach toward correcting spinal conditions will produce long-lasting and permanent results well beyond the recommended treatment plan. X-rays are helpful in determining spinal misalignment patterns along with postural assessment, and joint and disc analysis. X-rays also help to rule out any disease process and/or fractures. 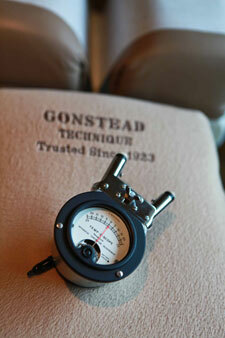 The instrument of choice in the Gonstead System is the Nervoscope. The Nervoscope detects uneven distributions of heat along the spine which can be indicative of inflammation and nerve pressure. This instrument is guided down the length of your back and feels like two fingers gliding down each side of your spine. Don’t wait! Contact Valley Chiropractic Associates today to get started with care.